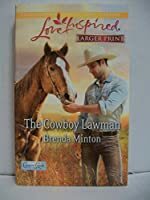 When Slade McKennon comes looking for Mia Cooper, the Dawson sheriff's only mission is to keep her safe. But the wounded DEA agent isn't ready to trust the man whose past is so entwined with hers. Slade lives by his own code of honor-one that prevents the widowed father from pursuing the woman he's known most of his life. But for the first time in ages, Mia feels safe. And she's finally starting to seal up the scars on both her body and her heart. Can Slade and his sweet but aching son provide the healing touch of love?